Cloud storage is the latest buzzword among data enthusiasts. What is it? Why is everyone using it? Are there any potential pitfalls? This is what we will try to explore in this brief article. Cloud storage is a data storage service, provided by the likes of Box, Dropbox, Amazon Cloud Drive and several others. These providers copy your data into a secure location for a fee. This means that you need not have access to a particular device to get your important files and you are safe from system crashes. 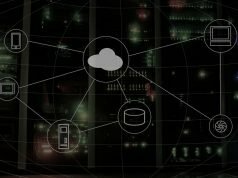 Businesses have been leveraging this technology to such an extent that it is projected that the cloud services market would exceed US$244 billion by 2017. Easy to use: Almost all cloud storage providers installs a folder on your desktop. Now all you have to do is drag and drop the files you need to save on the cloud into this folder and the sync will happen in the background while you are working on something else! Disaster Recovery: Once your data is on the cloud, you can access it from anywhere with any device, provided you have an internet connection. Hence your files stay accessible to you irrespective of system crashes, computer viruses, device theft or even an act of god! High bandwidth: This is highly relevant for businesses. 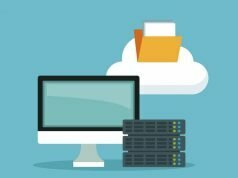 Thanks to cloud storage, there is absolutely no need to have different versions of crucial documents floating around among team members and thus adding confusion to collaboration. Businesses these days are creating repositories for specific teams or projects and granting access to the relevant users, so that everyone can stay abreast with the latest developments. Easy to scale: With professional cloud storage providers, you or your company will never run out of space. When you are getting close towards reaching your limit, all you usually have to do is open a ticket and the extra space will be made available to you for an additional fee. For businesses, this provides significant cost advantages because the added storage is provided for a price that is a fraction of what it would cost if the business wanted to set up the infrastructure by themselves. Need access to the internet: Although disaster recovery is one of the key advantages of using cloud storage services, if the purported disaster is an internet outage, then you would be out of luck. However, there are several avenues for getting online these days and the chances of all of them not being available at the same time are slim to none. Security is out of your hands: While using a cloud storage provider, you are placing your trust in a third party to secure your data. For personal users, this is usually a blanket upgrade irrespective of the provider; however for businesses, this can be a little nerve racking. 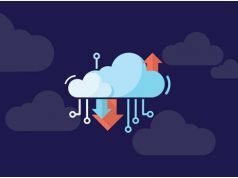 A comparative study of the security features of multiple cloud storage providers is imperative before selecting a vendor. Cloud data storage is an irreversible trend that is here to stay. However, it is imperative that you look at and compare the features of as many providers as you possibly can before making a decision. Next articleWhy Your Business Needs Cloud Computing?